Food, shelter and clothing are the three basic needs of mankind and good standard of living is the key indicator. Africa continent is home to more than 1 billion people, in its cities less than 10 per cent of people live in decent housing. According to UN reports, estimates that 7000 new homes a day are needed in Africa to cope with its housing needs and prefabrication method is the way to resolve the shortage of housing in Africa. Constructing homes for millions of people is our key goal. Our planet population continues to escalate and conventional building methods can no longer keep pace. In most African cities, affordable housing for the urban poor is non-existent - with about 15% of the world population living in slums and housing demands only increasing, prefab building technologies allow developers and governments to rapidly erect housing complexes. Prefab housing creates affordable housing solutions and a substantial number of jobs for the local population. When researching on the subject of Prefabricated Homes, you can see a long history in North America. Seems to have started in the 1600s from Britain, early version of prefab homes, did not take off until the arrival of " house kits ". Prefab is a kit, parts are produced in a factory, shipped to the building site and assembled. Modular is complete home built in a factory, transported to the site, and connected to the utilities. House kits contained all of the house's parts, some homeowners built the homes themselves or others get help from general constructor to build prefab home. One of the well known earliest, house kits was sold by Sears, Roebuck and Co., from 1908 to 1940, it is said company sold over hundred thousand home kits. By producing in a factory, construction time is reduced and not subject to the weather. Factory can manufacturer more homes then one, materials are purchased in bulk at a lower cost and shipped to the building location. Savings are passed on to the homeowners. Today's fast lifestyle, people don't want to wait over a year or more to build a home. 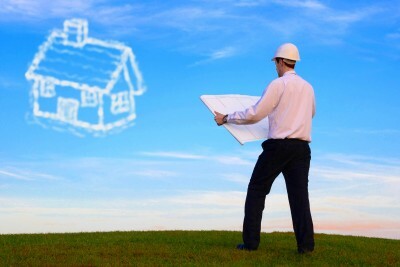 Buying land and a prefab house cuts the time considerably. Prefabricated housing will help to release fiscal pressures on the African countries, as the cost of the home is much more reasonable compared to traditional brick and mortar houses. The prefab materials have high ratings against fire, wind and earthquakes, and is the best response to address the demand for housing projects in Africa. The wall and the ceiling will be constructed with panels systems are becoming a popular choice for many construction projects. Architectural and structural components combines to create the entire building process smooth. General contractors utilizing panels, makes their job easier at the construction site and benefits from the material's ease of use and efficiency. Advantages that come along with the prefab homes, shortens the construction time table, low maintenance for the homeowners, high quality, provides design flexibility and long service life. Cement panels can be painted in a variety of colors, textures and finishes providing an almost endless range of aesthetic options. Cement Panels can replicate granite, brick or stone, achieving a image at a fraction of the cost for exterior and interior of the prefab home. Prefab homes are produced with the intent to make the home affordable, quick to produce and easy to assemble. Prefab homes were intentionally designed to be flexible and can be assembled or constructed directly on the building site, with virtually no waste on the location. And of course, having a flexible unit allows people in disaster zones to quickly erect and rebuild housing. As well, eco-friendly energy options such as solar and wind, can provide African homeowners with lights and warm water during unpredictable electricity shortages. Do contact us to find out how prefab homes can meet your needs in Africa.